The Tinsley Model 4721 decade box is designed for the checking and calibration of insulation testers at voltages of up to 5000V DC. The total range covered is from 1 kΩ to 1TeraΩ using specially selected resistors and a high quality switch mounted on an easy to read panel. 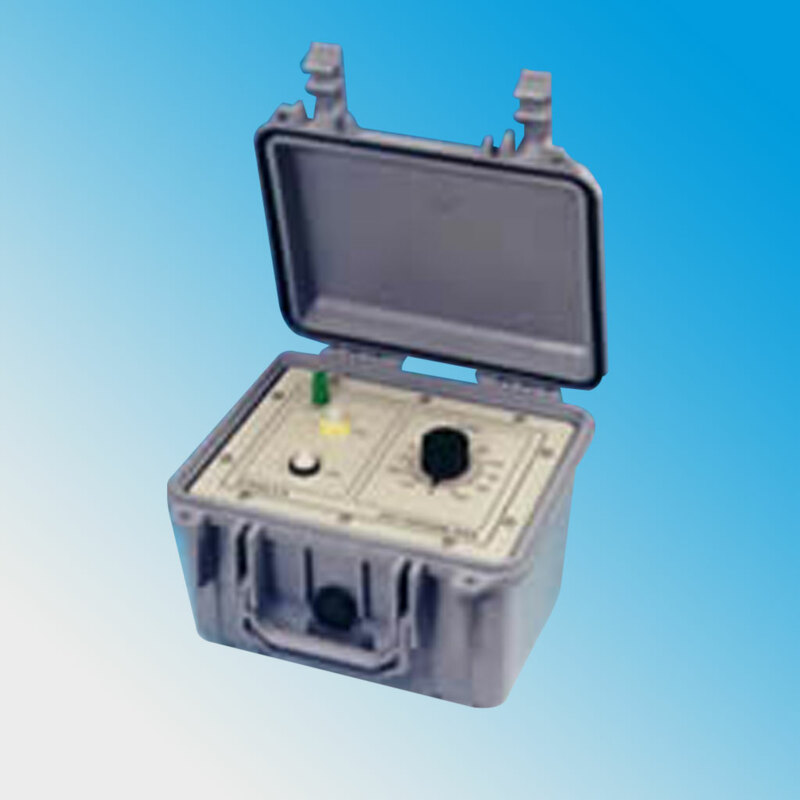 This resistance box is housed in a strong aluminium case with lid and carrying handle to provide an ideal solution to on-site and laboratory calibration of high resistance insulation testers. The instrument can be supplied complete with a calibration certificate provided by our own in-house calibration laboratory. 1kΩ to 1TΩ in 10 steps with open circuit on eleventh position. Metal earth terminal on switch panel. Can be supplied with calibration certificate.